With asphalt shingles, prolonged exposure can cause rotting, warping, and cracking. Acadien Construction offers rubber roofing products that are comprised of approximately 95% recycled material. Our superior roofs are oblivious to heat, hail, wind, rain and snow. Even better, any scraps generated during manufacturing or installation can be recycled roofing products. 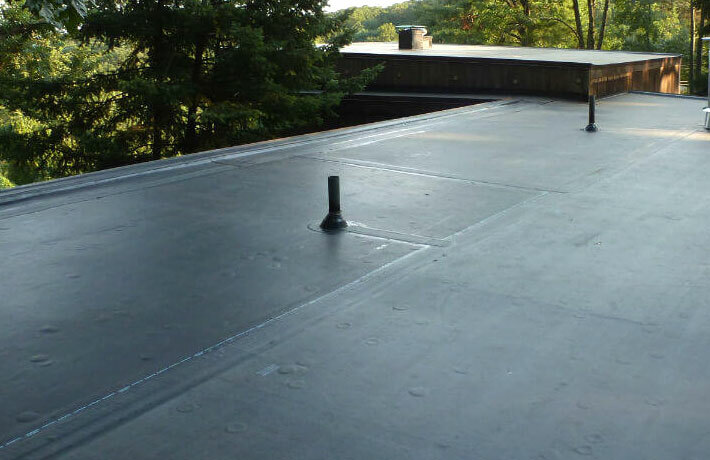 Rubber roofing systems are an Environmentally Friendly option to Hail, Heat, Wind, Rain, and Snow...When choosing the right roofing material, you need to consider what the material consists of, how long it takes to install, and its longevity.